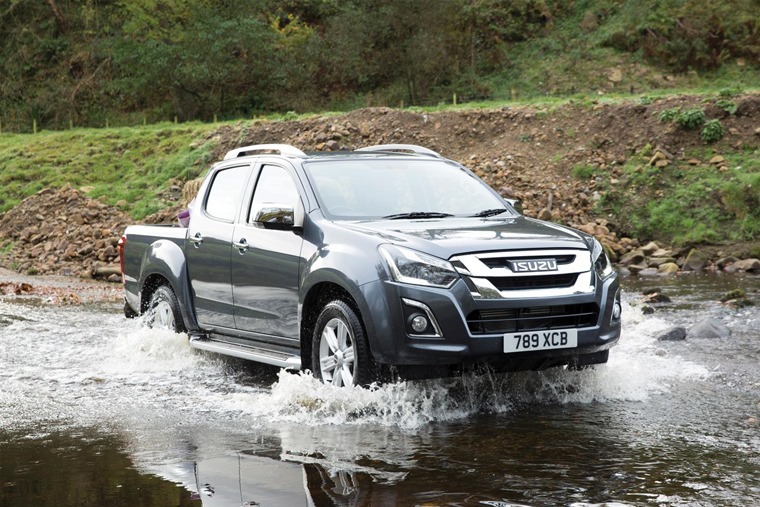 Ahead of its spring launch, Isuzu will reveal the new generation D-Max at the CV Show at the end of April. Along with a fresh set of cosmetic and feature upgrades, the new model will also get a few technological advancements. With the Ford Ranger having taken the segment by storm last year – picking up our Best Commercial Vehicle award in the process – Isuzu has a lot of ground to cover if it is to keep its reputation intact as one of the go-to names in the segment. With more and more emphasis being put on pick-ups being ‘car-like’, the D-Max will perhaps find more scrutiny than ever on the interior refinement and comfort as well as infotainment offering. Not that under the bonnet has been overlooked, far from it – a brand new 1.9 litre turbo diesel engine has been fitted, which produces 164 PS and 360Nm of torque. 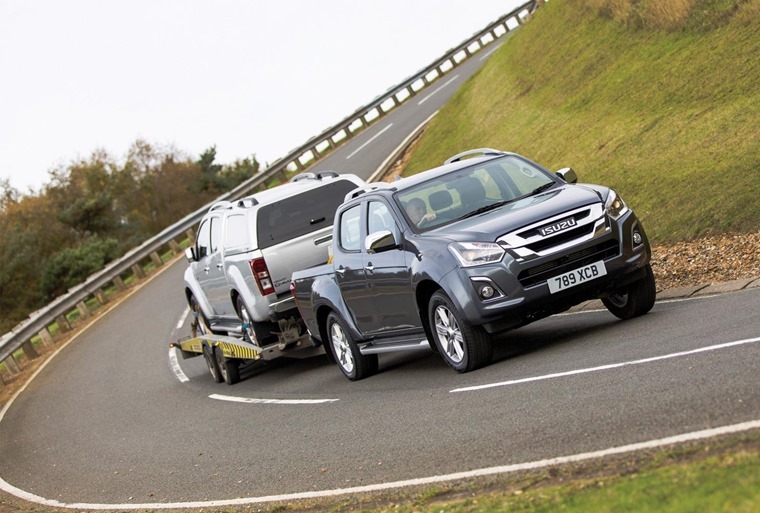 This engine builds upon D-Max’s traditional workhorse character and retains the impressive 3.5 tonne towing capacity and 1 tonne payload. On top of this, the truck provides a quieter, more refined and economical driving experience as well as meeting Euro 6 standards without the need for addition of AdBlue. 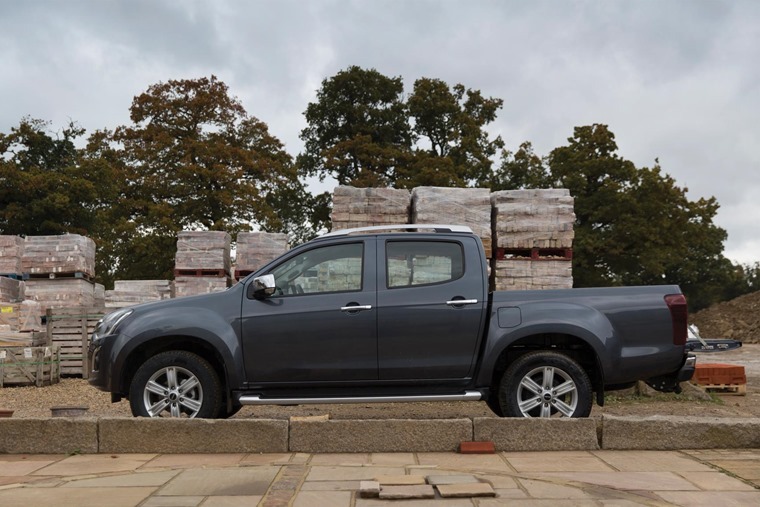 As per the outgoing D-Max, Shift-On-The-Fly 4x4 is a key feature of the new generation truck with the rotary dial allowing the driver to select four-wheel drive on the move. 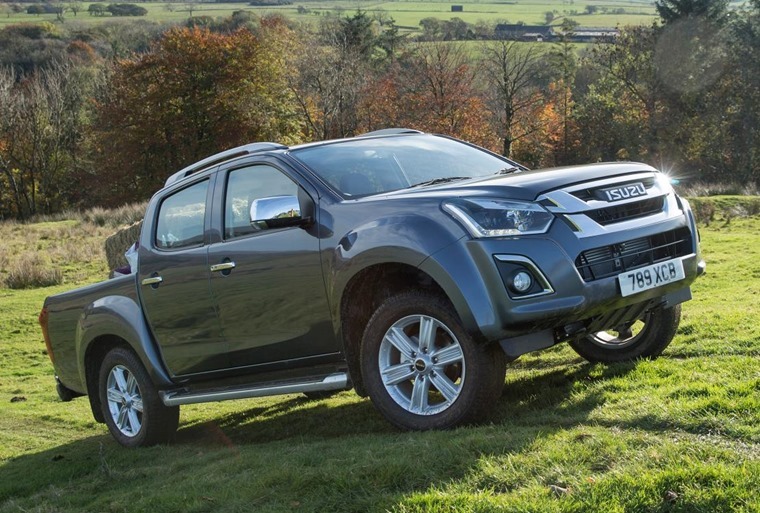 The line up for the much-loved D-Max is retained, with Utility, Eiger, Yukon, Utah and Blade all offered with a range of single, extended and double cab variants available. 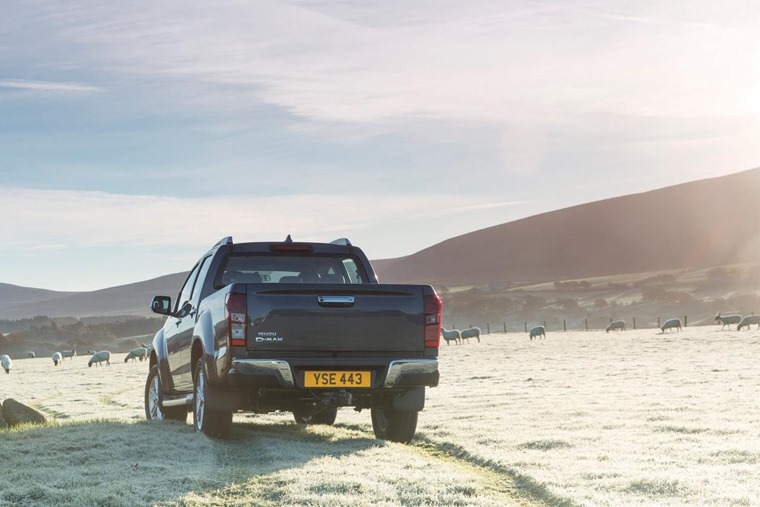 The entry-level Utility D-Max, priced from £15,749 comes equipped with LED daytime running lights, Hill Start Assist, Hill Descent Control, Bluetooth connectivity, power windows and air conditioning. Yukon (from £20,499) adds 18-inch alloy wheels, silver side steps, a new 7-inch multi-function touchscreen, LED rear lights, Cruise Control, rear load liner and a leather steering wheel. Utah (from £24,149) takes comfort up a notch with keyless entry with push button start, Apple CarPlay and Android Auto, satellite navigation, DAB digital radio, roof bars, leather upholstery with heated front seats, rear parking sensors, automatic air conditioning. The range-topping Blade (from £26,999) adds tinted windows, 9-inch multi-function touchscreen, remote locking lower tailgate, Blade puddle lamps, front and rear parking sensors, and a colour-coded Aeroklas canopy or sports bar with roller cover. As the first pick-up in the UK to be offered with such a comprehensive peace-of-mind package, the 2017 D-Max will comes with a five-year/125,000-mile warranty as well as a three-year paint warranty, and a six-year anti-corrosion warranty. Since attractive company car and employee tax incentives were introduced, pick-up trucks have been taking off in the commercial sector and it will be interesting to see where Isuzu lands in the segment with the release of the new model. The new generation D-Max will be unveiled at the CV Show at 10:00am on 25 April.